Rana’s a rescued animal, in Brazil. She now lives with Maia and Guida at this sanctuary. Humans are like no other species. We have constructed stratified states, colonised nearly every habitat on Earth and we’re now looking to move to other planets. In fact, we are so advanced that some of our innovations – such as fossil fuel technologies, intensive agriculture and weapons of mass destruction – may ultimately lead to our downfall. Even our closest relatives, the primates, lack traits such as developed language, cumulative culture, music, symbolism and religion. Yet scientists still haven’t come to a consensus on why, when and how humans evolved these traits. But, luckily, there are non-human animals that have evolved societies and culture to some extent. My latest study, published in Nature Evolution & Ecology, investigates what cetaceans (whales and dolphins) can teach us about human evolution. The reason it is so difficult to trace the origins of human traits is that social behaviour does not fossilise. It is therefore very hard to understand when and why cultural behaviour first arose in the human lineage. Material culture such as art, burial items, technologically sophisticated weapons and pottery is very rare in the archaeological record. Previous research in primates has shown that a large primate brain is associated with larger social groups, cultural and behavioural richness, and learning ability. A larger brain is also tied to energy-rich diets, long life spans, extended juvenile periods and large bodies. But researchers trying to uncover whether each of these different traits are causes or consequences of large brains find themselves at odds with each other – often arguing at cross purposes. One prevailing explanation is the social brain hypothesis, which argues that our minds and consequently our brains have evolved to solve the problems associated with living in an information rich, challenging and dynamic social environment. This comes with challenges such as competing for and allocating food and resources, coordinating behaviour, resolving conflicts and using information and innovations generated by others in the group. Primates with large brains tend to be highly social animals. However, despite the abundance of evidence for a link between brain size and social skills, the arguments rumble on about the role of social living in cognitive evolution. Alternative theories suggest that primate brains have evolved in response to the complexity of forest environments – either in terms of searching for fruit or visually navigating a three dimensional world. But it’s not just primates that live in rich social worlds. Insects, birds, elephants, horses and cetaceans do, too. The latter are especially interesting as, not only do we know that they do interesting things, some live in multi-generational societies and they also have the largest brains in the animal kingdom. In addition, they do not eat fruit, nor do they live in forests. For that reason, we decided to evaluate the evidence for the social or cultural brain in cetaceans. Another advantage with cetaceans is that research groups around the world have spent decades documenting and uncovering their social worlds. These include signature whistles, which appear to identify individual animals, cooperative hunting, complex songs and vocalisations, social play and social learning. We compiled all this information into a database and evaluated whether a species’ cultural richness is associated with its brain size and the kind of society they live in. We found that species with larger brains live in more structured societies and have more cultural and learned behaviours. The group of species with the largest relative brain size are the large, whale-like dolphins. These include the false killer whale and pilot whale. The lives of beaked whales are still a big mystery. We still have much to learn about these amazing creatures. Some of the species were not included in our analysis because we know so little about them. For example, there is a whole group of beaked whales with very large brains. However, because they dive and forage in deep water, sightings are rare and we know almost nothing about their behaviour and social relationships. Nevertheless, this study certainly supports the idea that the richness of a species’ social world is predicted by their brain size. The fact that we’ve found it in an independent group so different from primates makes it all the more important. The British government began a 12-week consultation period on Oct. 6 to sort out the details for a near-total ban on its domestic ivory trade. Conservation groups have long worried that even a legal trade can mask the illicit movement of ivory and stimulate further demand for ivory from poached elephants. The conservation groups WCS and Stop Ivory applauded the announcement and pledged to work with the government to put the ban in place. The UK government has announced that it will shut down the legal ivory trade within its borders. Growing evidence has shown that even a legal trade in ivory can mask illegal sales and feed the demand that drives poaching. 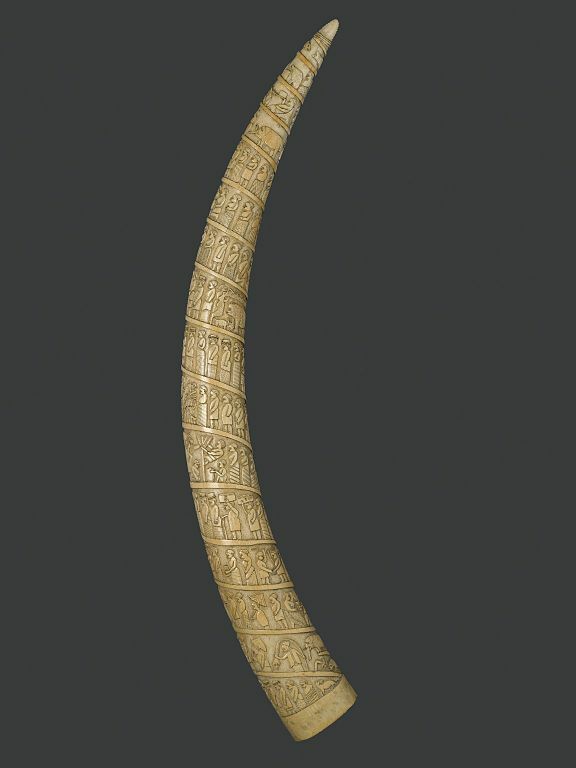 Laws in the UK currently allow pieces of worked ivory, such as carvings, made before March 3, 1947, to be sold. Pieces made after that date require a certificate to be traded legally. On Oct. 6, the government began a 12-week consultation period to define a new set of restrictions, during which time conservation groups and art and antique curators will work together “to ensure there is no room for loopholes which continue to fuel the poaching of elephants,” according to the statement. 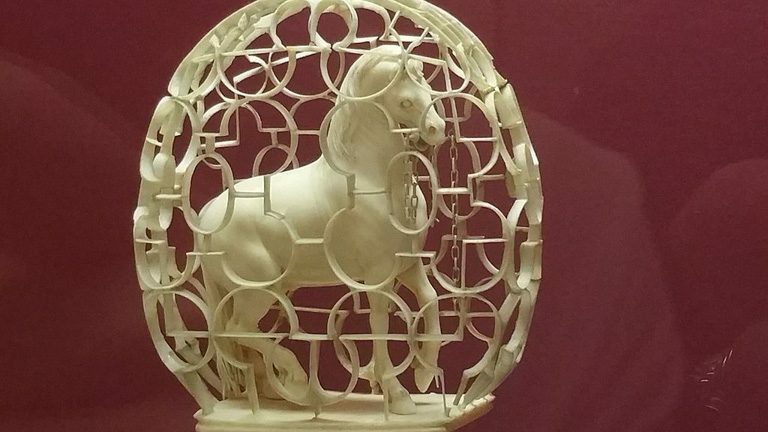 Certain pieces of carved ivory will receive exceptions under the new domestic ivory ban in the UK. Photo by sha (Own work) [CC0], via Wikimedia Commons. The UK joins the United States and China in their recently announced closures of domestic ivory markets. Under the plan, the government will make exceptions to allow the trade and sale of musical instruments made with ivory and pieces with small amounts of ivory. Trade in objects of “significant historic, artistic or cultural value” will also be allowed, as well as the movement of pieces to and between museums. A recent investigation by the Environmental Investigation Agency found that the UK is the biggest exporter of legal ivory, largely to markets in China and Hong Kong. In just the past 15 years, forest elephant (Loxodonta cyclotis) numbers in Central Africa are down by 66 percent, Samper said. On the continent as a whole, 20,000 elephants die at the hands of poachers each year. Many scientists fear that savanna (Loxodonta africana) and forest elephants could face extinction in the next few decades if those trends continue. “The only way to save elephants, in addition to strong field and enforcement work, is to ban ivory sales to prevent any opportunities for such laundering,” Samper said. A recent report by the NGO TRAFFIC outlined the elaborate movement of ivory through several Central African countries, largely through “underground” international markets. In October 2018, the UK will host an international conference on the illegal wildlife trade, which Gove’s office figures is worth 17 billion pounds ($22.4 billion). An African bush elephant in Tanzania. Photo by John C. Cannon. Samper acknowledged the need for “strong field and enforcement work” to protect elephants where they live, but he said that leaders in those countries need help. “Elephants need dramatic help now,” he added. 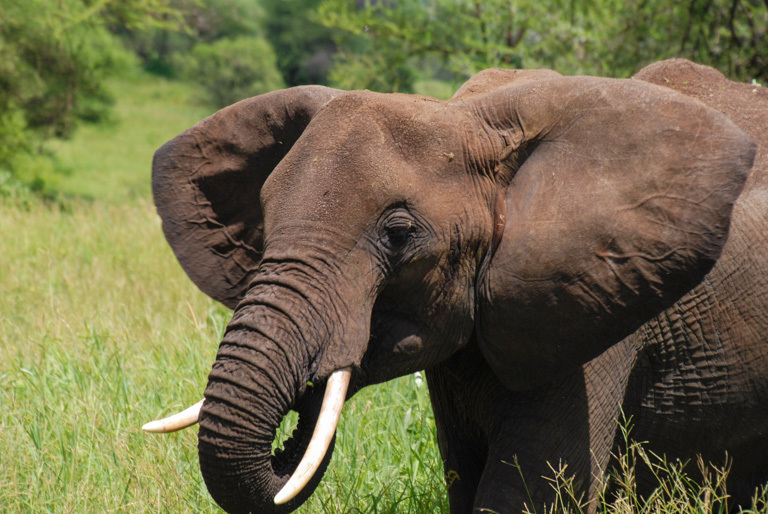 Banner image of an elephant in Tanzania by John C. Cannon. Talking about ivory-funded terrorism overlooks the real sources of income for terror groups.